The fort was first built during the Indian Wars. It is designated as a National Historic Landmark and serves as home of the United States Army Field Artillery School as well as the Marine Corps’ site for Field Artillery MOS school, United States Army Air Defense Artillery School, the 31st Air Defense Artillery Brigade, and the 75th Field Artillery Brigade. Fort Sill is also one of the four locations for Army Basic Combat Training. It has played a significant role in every major American conflict since 1869. Sheridan’s massive winter campaign involved six cavalry regiments accompanied by frontier scouts such as Buffalo Bill Cody, Wild Bill Hickok, Ben Clark and Jack Stilwell. 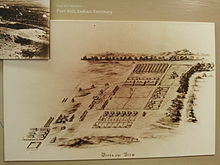 Troops camped at the location of the new fort included the 7th Cavalry, the 19th Kansas Volunteers and the 10th Cavalry, a distinguished group of black “buffalo soldiers” who constructed many of the stone buildings still surrounding the old post quadrangle. At first, the garrison was called “Camp Wichita” and was referred to by the Indians as “the Soldier House at Medicine Bluffs.” Sheridan later named it in honor of his West Point classmate and friend, Brigadier General Joshua W. Sill, who was killed during the American Civil War. The first post commander was Brevet Maj. Gen. Benjamin Grierson and the first Indian agent was Colonel Albert Gallatin Boone, grandson of Daniel Boone. Other forts in the frontier fort system were Forts Griffin, Concho, Belknap, Chadbourne, Fort Stockton, Fort Davis, Fort Bliss, McKavett, Clark, Fort McIntosh, Fort Inge, Phantom Hill, and Richardson in Texas. There were “sub posts or intermediate stations” including Bothwick’s Station on Salt Creek between Fort Richardson and Fort Belknap, Camp Wichita near Buffalo Springs between Fort Richardson and Red River Station, and Mountain Pass between Fort Concho and Fort Griffin. In 1871, General of the Army William Tecumseh Sherman arrived at Fort Sill from Fort Richardson, Texas, while on a tour of Army posts throughout the country. Sherman was at Fort Richardson when they became aware of the Warren Wagon Train Raid, in which seven muleskinners were killed by Indians when their wagon train was ambushed. Soon after Sherman arrived at Fort Sill, the Indian Agent brought several Kiowa chiefs to tell their story about attacking the wagon train. When Sherman ordered their arrest during a meeting on Grierson’s porch, two of the Indians attempted to assassinate him. In memory of the event, the Commanding General’s quarters were dubbed Sherman House. Satanta and Addo-etta were tried by Texas courts on 5 and 6 July, the first time Indians had been tried in civil courts. They were sentenced to death by hanging. Supporters of the Quaker peace policy convinced Governor Edmund J. Davis to commute the Indians’ sentences to life imprisonment. Then in October 1873 they were paroled. In 1877, the first African-American to graduate from West Point, Henry O. Flipper, was assigned to the 10th Cavalry Regiment, the famous Buffalo Soldiers at Fort Sill. In addition to his leadership duties in the cavalry, he directed his men to dig a ditch to drain a swamp; this is still called Flipper’s Ditch and today a landmark exists on Upton Road by the Fort Sill Golf Course. Geronimo’s grave at Fort Sill with Apache prayer clothes in trees. In 1894, Geronimo and 341 other Chiricahua Apache prisoners of war were brought to Fort Sill, where they lived in villages scattered around the post. After a couple of years, Geronimo was granted permission to travel with Pawnee Bill‘s Wild West Show and he joined the Indian contingent at several annual World Expositions and Indian Expositions in the 1890s and early 1900s. Geronimo and other Indians leaders rode in the inaugural parade of president Theodore Roosevelt and met the president himself during that trip. Geronimo and the other Apache prisoners had free range of Fort Sill. He was a member of Fort Sill’s Native Scouts, but he did make at least one documented attempt to escape from the fort, though not in the dramatic fashion of jumping off the steep Medicine Bluffs on his horse in a hail of bullets as popularized in the 1939 movie, Geronimo (which was the inspiration for parachutists of the 501st Parachute Infantry Regiment to yell his name when they jumped out of aircraft). Once, after visiting the off-post home of chief Quanah Parker, Geronimo decided to escape to his homeland in Arizona late one night rather than return to Fort Sill. He was captured the next day. He died of pneumonia in 1909 and is buried at Fort Sill. The 1st Aero Squadron was part of that army. They transferred to Casas Grandes in Mexico and began duties flying reconnaissance, delivering mail and dispatches and transporting senior officers, all marked with a red five-pointed star on their rudders for their American national insignia from March 19, 1916 onwards, as the earliest-known instance of a “national insignia” of any sort used on American military aircraft. The simple sorts of military-related tasks the early Curtiss biplanes were being used for, were more than their airframes (designed for training, not combat) could handle. They simply didn’t have enough power to fly over the mountains of northern Mexico. One rain storm dumped nearly a foot of water into the cockpit of Foulois’ craft and flooded out his engine. He successfully managed to land his plane without power. Additionally, every landing in Mexico was carried out in hostile territory. Many pilots found themselves cut off from friendly lines with little more than their wits to rescue them from hostile Mexicans and Mexican officials. A variety of units were created, inactivated, assigned and reassigned as the Army’s aviation assets grew. 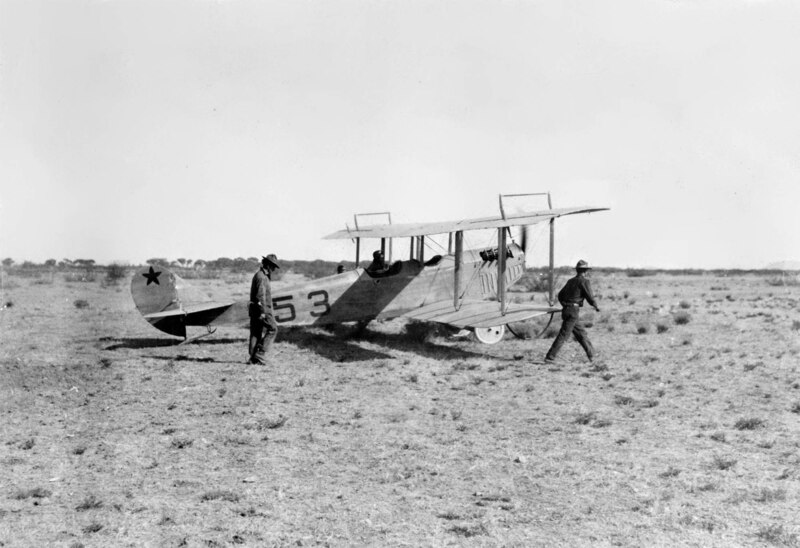 In 1922, Fort Sill was considered the busiest airport in the U.S. The school used balloons and fixed wing aircraft for aerial observation. Both sausage-shaped “captured” balloons and spherical-shaped “free” balloons were used in the 1920s and 30s. The balloonists were trained on free flight on the “free” balloons, but they had to stay within 50 miles of post and 8,000 feet. The tethered or “captured” balloons were for observation only – connected to winch trucks on the ground by cable and transported at speeds as high as 60 miles an hour. They were inflated with hydrogen and operated at a maximum height of 4,300 feet. They observed and relayed fire-corrective information to special operation trucks. Self-propelled balloons were developed at Post Field in 1937. These balloons were designed to be powered to an observation point, their motors removed and observation baskets were attached. The famous balloon hangar, moved from Moffett Field to Fort Sill in 1934, was intended to house dirigibles. The unique “cross” on the side of the building has no religious significance – it is part of an air circulation system designed to dry balloon fabric and parachutes. One of the U.S. Air Force‘s most advanced technical units, the 1st Airborne Command and Control Squadron at Offutt Air Force Base, Nebraska., traces its lineage through the 1st Balloon Company. Lieutenant Edwin Argo LOS ANGELES, 11 Aug 1932 – Three members of the U.S. Army equestrian team – Maj. Harry Chamberlin, Capt. Edwin Y. Argo and Lieut Earl T. Thomson -started the Three-Day Event at the 1932 Olympics. The three faced the best military riders of Holland, Sweden, Japan and Mexico. On the first day of the event, all riders faced a training test. The second day was an endurance ride of ​22 1⁄2 miles over five different courses and the last day was stadium jumping where they rode a course of 12 jumps at a 14-mile per hour gait. Argo, the only field artillery officer in this part of the competition, rode Honolulu Tom Boy in a remarkable performance without a fault at a jump during the stadium jumping—the only rider without a fault that day. The U.S. team led from the start and was described by the 1932 Field Artillery Journal as a “glorious achievement for our riders and horses,” as they took the gold medal in the team competition. In the individual standings, Thomson took the silver for the U.S., Chamberlin finished fourth and Argo eighth. (taken from the Field Artillery Journal, Sept.-Oct. 1932). 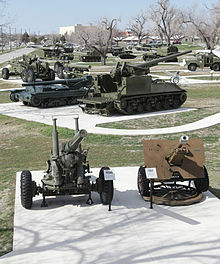 Note: At that time, Argo was assigned to 1st Field Artillery at Fort Sill, Okla. The most famous is the Post Cemetery, at the intersection of Macomb and Geronimo Roads. Many Indian chiefs who signed the Medicine Lodge Treaty came to rest at Fort Sill Post Cemetery. Unlike most cemeteries of its day, it was never segregated. Troopers of the 10th Cavalry Regiment, known as the “Buffalo Soldiers” who died at Fort Sill lie next to these chiefs. Officers, soldiers, spouses and children lie side-by-side regardless of their race or social status. The most controversial cemetery on post lies under Henry Post Army Airfield. The old Indian Agency Cemetery, which includes both Comanche and white remains, is located just south of the last hangar at the airfield. In the 1950s, in order to reduce the hazard of airplanes or helicopters landing or parking in the area, Army engineers took down all the grave stones and covered the entire area with a four-inch cover of earth. The earliest known still-existing listing of those buried at this cemetery is known as the “1917 Harper’s List.” For many years, the cemetery sat forgotten by history. In 1984 Towanna Spivey, an archeologist and curator of the Fort Sill National Landmark and Museum, completed a scientific investigation of records and the site. He identified 64 persons buried in that cemetery by name, but another 50 graves were listed as unknown. Out of respect, none of the remains have ever been dug up or disturbed. A detachment of the United States Marine Corps, consisting of a firing battery and commanded by a colonel, is stationed at Fort Sill. Referred to as the MARDET, the detachment works with the Field Artillery School to train Marine artillerymen. Marines also serve as gunnery and fire support instructors at the Army Basic Officer Leader Course & Marine Field Artillery Officer Basic Course, and as small group leaders at the Field Artillery Captains’ Career Course. All Marine artillery officers attend the Field Artillery School, but are trained in separate classes from their Army counterparts. The 77th Army Band (Special designation: “The Pride of Fort Sill”) is part of the Fires Center of Excellence. It was originally organized on 1 March 1907 at Fort Du Pont, Delaware as the 13th Band, Coast Artillery. Another special detachment is the Field Artillery Half Section, an eight-man group representative of the “flying artillery” which was drawn by a team of horses (the Half Section has eight horses – all named after former commanding generals of Fort Sill) around the turn of the 20th century. The Half Section was established in 1969 to celebrate Fort Sill’s Centennial. The Soldiers are volunteers for the show group, while the horses, their equipment and transportation are provided through charitable donations. The popular Half Section has appeared in regional parades, local festivities, change of command ceremonies and a presidential inauguration parade. Climate is characterized by relatively high temperatures and evenly distributed precipitation throughout the year with the exception of increased precipitation in late spring and late summer. The Köppen Climate Classification subtype for this climate is “Cfa” (Humid Subtropical Climate). ^ a b c National Park Service (23 January 2007). “National Register Information System”. National Register of Historic Places. National Park Service. ^ “Lawton FT Sill Economic Development”. ^ Fort Sill National Historic Landmark and Museum. “Fort Sill National Historic Landmark and Museum – Home”. army.mil. Retrieved 1 May 2015. ^ a b Janda, Lance. Encyclopedia of Oklahoma History and Culture. “Fort Sill.” Retrieved December 16, 2013. ^ “WARREN WAGONTRAIN RAID | The Handbook of Texas Online”. Texas State Historical Association (TSHA). 16 February 1927. Retrieved 16 February 2013. 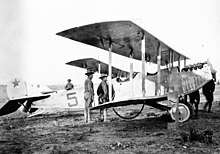 ^ “as seen on the 1st Aero Squadron Curtiss JN-3s”. ^ “Historic Wings – Flight Stories – Chasing Pancho Villa”. fly.historicwings.com. HW. 15 March 2013. Retrieved 21 February 2016. Just one day after arriving, on March 16, 1916, the first reconnaissance flight was flown by Capt. Dodd with Capt. Foulois (as an observer) on the Curtiss JN-3 S.C. No. 43. As with all of the Army’s aircraft in that era, the plane carried simple markings — a red star on the tail and the large number 43 painted on the sides of the fuselage. ^ Densho Encyclopedia contributors. “Fort Sill (Detention Facility)”. Densho Encyclopedia. Densho. Retrieved 5 April 2013. ^ Kashima, Tetsuden. “Homicide in camp” Densho Encyclopedia. Retrieved 13 Jun 2014. ^ Burton, J. “Department of Justice and U.S. Army Facilities: Fort Sill, Oklahoma”. Confinement and Ethnicity: An Overivew of World War II Japanese American Relocation Sites. Retrieved 5 April 2013. ^ “QUANAH PARKER WEB SITE”. barkley.biz. Retrieved 1 May 2015. ^ “Special Unit Designations”. United States Army Center of Military History. 21 April 2010. Archived from the original on 9 June 2010. Retrieved 9 July 2010. ^ “Fort Sill, Oklahoma Köppen Climate Classification (Weatherbase)”. Weatherbase. Retrieved 1 May 2015. ^ “Historical Weather for Fort Sill, Oklahoma, United States”.